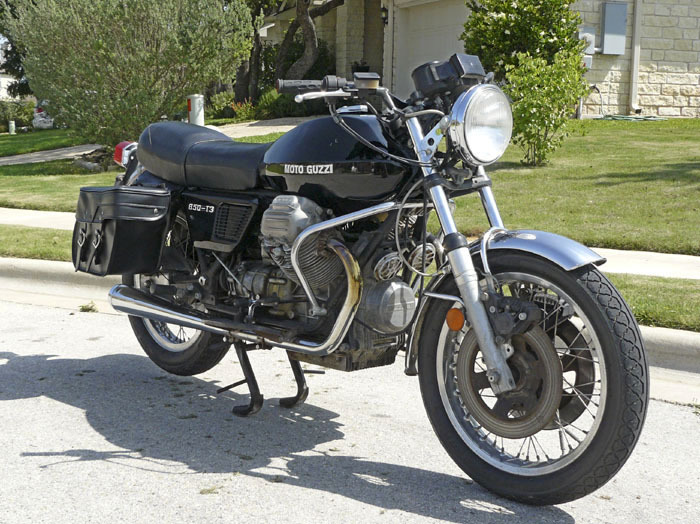 I sold my Kawasaki Drifter and bought this 1977 Moto Guzzi with only 8000 miles on it. I really love this bike. It has plenty of power, corners well, is surprisingly fast, has linked front and rear disc brakes, and requires minimal maintenance. Hard to beat. 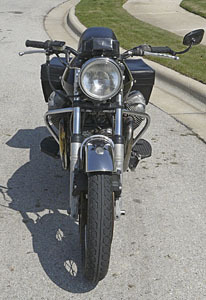 Dave’s Vincent - Gotta love this beautiful machine. 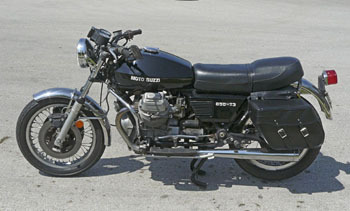 Guzzino.Com - Moto Guzzi parts. Leather Accessories Connexion - Beautiful leather bags, pouches, and chaps. 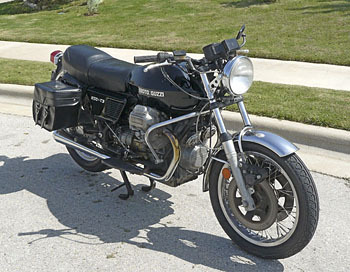 MG Cycle - Moto Guzzi parts and accessories. 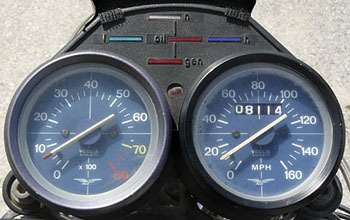 Texas Motorcycling Magazine - All the title implies; roads, clubs in Texas, events, etc. Texas Offroad Network - Forum and links. Vincent Links - From the Lone Star Vincent Club.